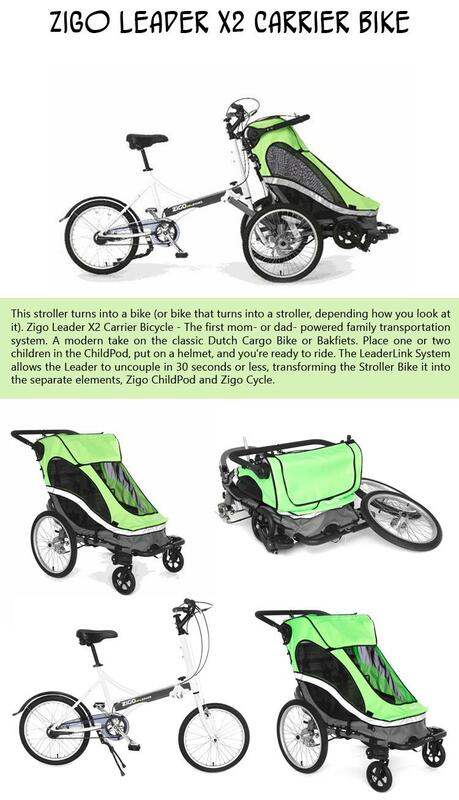 The Zigo Leader is a multi function bicycle similar to the already here the above Taga. By a comment in this topic I became aware on the cheaper alternative to the Taga. 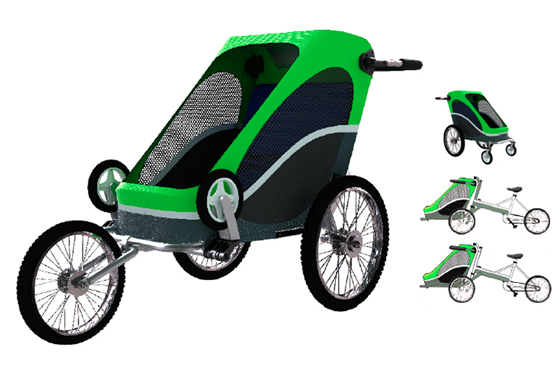 In contrast to the Taga, of the Zigo Leader consists of a stand-alone bicycle and stroller, which can be coupled together. 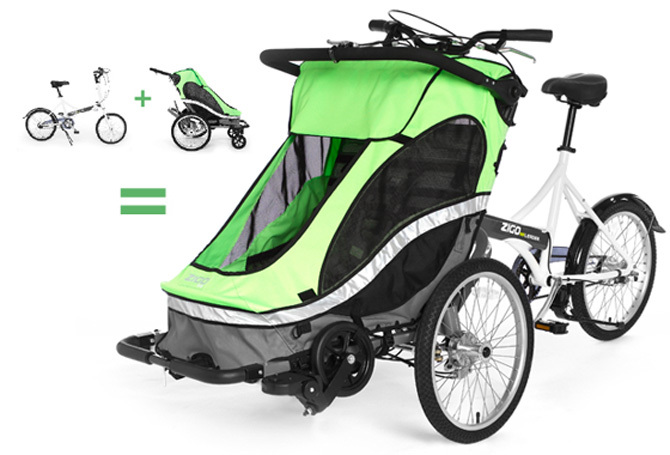 By removing the front wheel, you can easily attach the bicycle to the stroller, fold only the small front wheels of the ChildPods up and away you go. 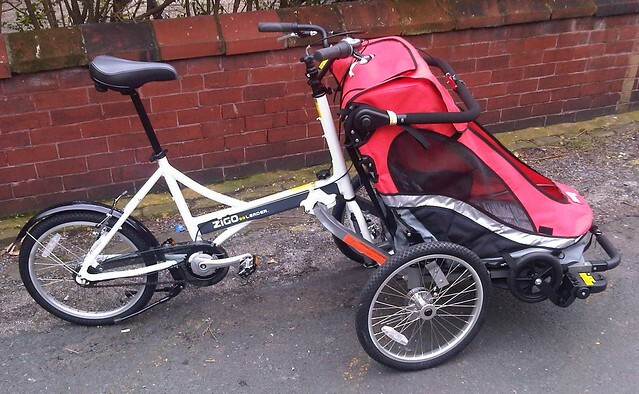 The stroller can be also converted into a Jogger or used as a pendant on a bicycle (both) only possible with optional accessories. 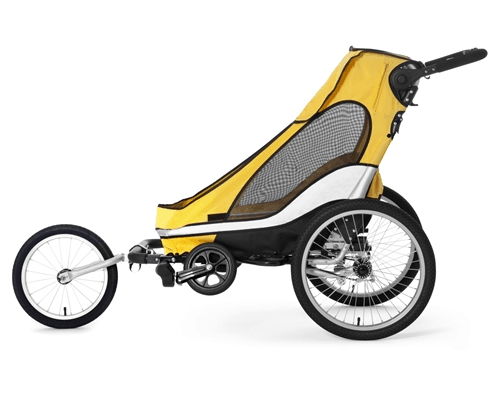 As you can see the Zigo is no bike/stroller “Transformer” as the Taga, but a koppelbares system made of two independent aluminium pedestals. At the Taga, the range likely is the city shopping with a child, whereas the Zigo rather is used for exits on sidewalks, public roads with little traffic and cycling trails. 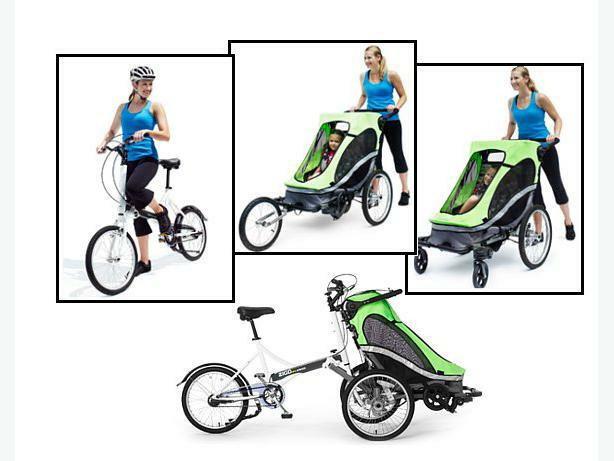 In any case, the Zigo leader is an interesting product. 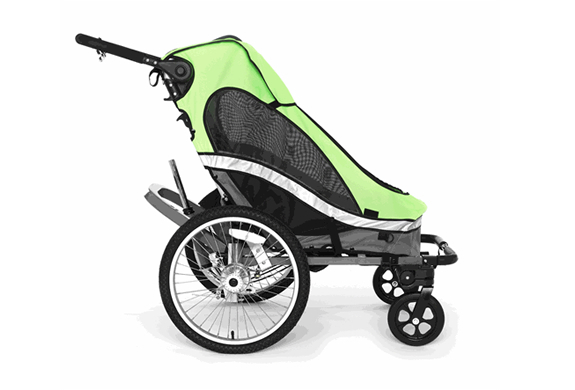 The Zigo Leader is available since August 2009 in Germany and costs depending on the execution between 1,349 and 1,465 euros.